Strawberry Glue is a developed to offer plants rich in resin and terpenes, with fruity aroma and powerful effect. This 60% Sativa variety comes from the cross between Strawbanana Cream (Strawberry Banana x White OG V2.0) of Karma Genetics on the one hand, and a female Goji Glue (Goji OG x Gorilla Glue) of high resin production. Strawberry Glue plants are strong and easy to grow, adapting to all growing substrates and optimization techniques: One Bud, SCROG, Supercropping ... Flowering needs 56 to 63 days for an abundant harvest that can reach us give from 500 to 600 g / m2. Strawberry Glue combines the creamy and sweet strawberry flavor of Strawbanana Cream with the potential of Goji Glue. 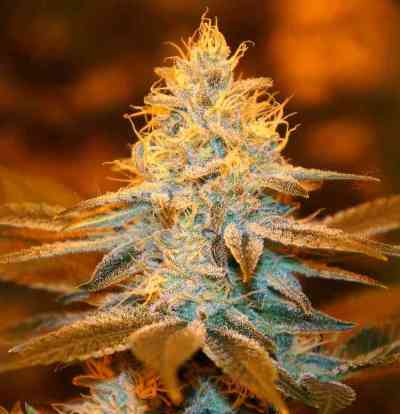 Its buds bleached by the resin cause a sensation of calm and relaxation both physically and mentally.